Caring for an animal is more than just providing them with shelter and food. It also means ensuring that they are in good health. As a pet owner, you have a responsibility to bring your beloved animal to the veterinarian for regular health assessments. You also have to make sure that they receive their vaccinations. In case your pet gets sick, you also have to provide them with the best medical care possible. All these can affect your finances. If you want to provide the best medical treatment for your beloved pet, then you have to be prepared for the expenses that it entails. Thankfully, you have the option to get pet insurance. Pet insurance can help you afford the veterinary care that your pet needs, and help alleviate the expenses needed for your pet's health. But what are the factors you need to consider when looking for the best pest insurance plans? Remember that when choosing a pet insurance plan, you need to make sure that it can provide you with the right amount of coverage. It must also fit your budget. If an insurance company promises high payouts, you must look at the cost of the plan. Do you have to raise your deductible just to afford it? Maximum payout refers to the maximum reimbursement that the insurance company is willing to provide you. There are five types of maximum payouts. Per Incident: This is the amount of money that the company will reimburse per illness or injury. Once you reach the maximum payout per incident, you will no longer receive any reimbursement for that particular illness or accident. Yearly Payout: This is the amount of money that the company is willing to reimburse every year. Once you reach the maximum yearly payout, you won't be reimbursed for the rest of the year. Lifetime Payout: This refers to the reimbursement given by the company during the lifetime of your pet. If you reach the maximum lifetime payout, your pet will no longer be insured by the company. Per Body System: This refers to the reimbursement for each body system, such as nervous system and respiratory system. If you reach the limit, you will no longer be reimbursed for any injury or illness related to that specific body system. Predetermined Benefit Schedule: The reimbursement given to you based on the listed fee schedule. Before getting an insurance plan with this payout, you need to review the fee schedule. Pet insurance covers various types of pet illness and injuries. If you are looking for the best insurance policy for your beloved pet, it must cover essential components, such as common medical conditions, cancer, chronic disease, and congenital and hereditary diseases. HOW IN THE HECK CAN WE NOT EVEN SAVE THE PUPPIES? It is widely known that pet health insurance policies and plans are available in plenty for your dear loving pets. The key to get the right policy is time consuming. To get a Birdseye view about your options helps you narrow down your choices and take the ultimate decision worth your concern. Mainly the insurance plans can be categorized into four, traditional, customizable, accident only and discount. Traditional policies are standard pet health insurance plans that offer design options that cover pet illness, accidents and preventive care. Based on the chosen plan your insurance company will pay all or part of your vet bills up to a pre determined amount. The customizable set of insurance plans is like traditional policies except that it offers more freedom in terms of mixing and matching the necessary provisions such as deductibles, co-insurance percentage, maximum annual coverage amount and co-pays. The third set is accidents alone where cover is only for accidents and not for illness or preventive care. The fourth set is the discount plans, where you can take the pet to any veterinarian or hospital within the network of hospitals the insurance company opts. You will receive a discount on the services obtained. - Hereditary conditions which depends on the policy and if at all it is covered it will be covered at a lower level. - Congenial conditions are not covered due its pre existence. They include patellar luxation, entropion, ectropion, liver shunt etc. - Fleas and parasites are included in some insurance policies and are in the form of preventive medications against parasites which might not include eradication of parasites. - Preventable diseases and chosen procedures like getting a vaccination to prevent diseases are generally not covered. - Dental care is provided in case of any accidents but dental preventive care like teeth cleaning is not generally under coverage. - Pre-Existing Conditions is common to see in the category of exclusion in pet insurance as it is for human insurance. Any pre-existing condition your pet has before the policy start date does not come under insurance cover. This includes conditions that may not have been diagnosed till date and just because you have not identified such pre conditions by taking it to the vet and are unaware of the condition, the plan does not guarantee that you will get covered for the particular condition. Some companies will allow you to cover these potential problems with an additional payment. In some cases the local veterinarian will be able to warn you about any exclusion. Getting the right pet health insurance just needs careful overview of the plans that suit your pet and you budget. Finding a pet insurance plan for Blinkin, my Jack Russell Terrier / Chihuahua mix, required a lot of time and research. No website made it easy, so I created PoochPlan.com, a Pet Health Insurance site designed to offer you the information and tools you need to quickly understand how pet health insurance works and find the best pet insurance rate and plan possible. 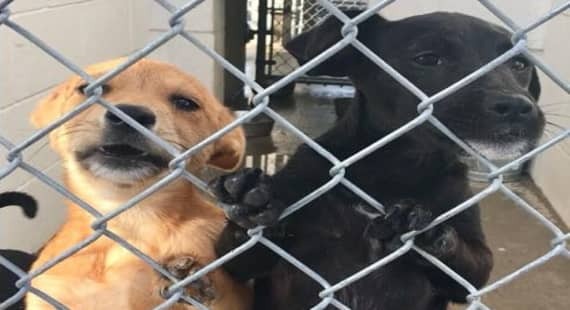 4 Responses to "10 weeks old adorable terrier pups now set for euthanasia after multiple plea being ignore"
No idea where Nueces County is. Should be more specific with your info for sharing. TX and she gives the ph# to the shelter what else do you need? TELL PEOPLE WHERE THESE DOGS ARE IF YOU ARE SERIOUS ABOUT HELPING AND NOT KILLING THEM !!! wHAT A WASTE OF THEIR PRECIOUS TIME WITH HAVING TO ASK !!!! !